You might remember my post last year about Petit Mail - a kids story postcard subscription created right here in Newfoundland by local mom and entrepreneur, Alison Butler. Brennen and I loved receiving the postcards in our home mailbox, and we had lots of fun together exploring the activities that the cards suggested. Brennen is a fun kid. He has changed the lives of everyone in our family. We were not expecting his disability when he was born thirteen years ago, but because of it, I have learned so much about myself, the world around us and what really matters. Brennen has been doing really well lately, and we are fortunate to be able to enjoy these fun activities at home, but part of raising a child with a disability means that we spend quite a lot of time in the hospital. In recent years, we have spent more time than I would like to count admitted to the Janeway for one medical procedure or another. Brennen has had several major surgeries (like this one) that have found us living in the hospital for days that turn into weeks that turn into months. It is part of our life, and one that we have come to accept, but it never, ever gets easier. Being 'frequent fliers' of our local children's hospital means that we have gotten to meet some truly remarkable families, each facing their own set of healthcare challenges. 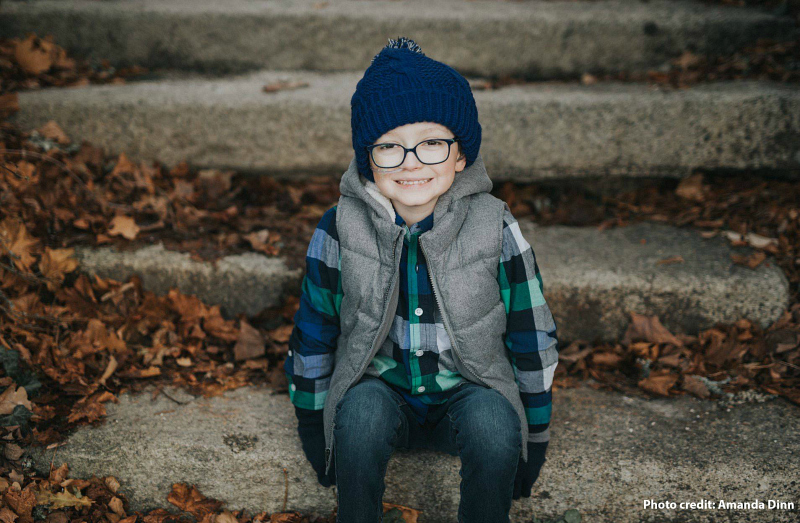 We know families who have children with complex disabilities and medical conditions, children with cancer, and other life-threatening illnesses. We know children who go through some of the hardest situations imaginable, and they do it with a kind of resiliency and strength that I've never seen before. These children clench their teeth through countless blood draws and examinations, and they withstand treatments and procedures that would make the best of us weak. These kids are tough but vulnerable and they have touched my life in a truly profound way. Wanting to give back, Alison recognizes that there are many children in our community who could use a pick-me-up, and has created the Send Happiness Project - delivering snail mail to children who might need an extra smile in their day! Brennen and I will be personally helping to deliver these special cards, and every purchase will be matched with a donation (1 purchased = 1 donated). Our goal is to brighten the days of 500 children in 2019! I'm going to be honest with you. Brennen and I were planning to deliver a postcard to our dear friend Kaiden Little this week, but his mom wrote me on Monday afternoon to let me know that he'd passed peacefully away. Our hearts are broken for his family. Kaiden was a true warrior. He had been diagnosed with Neuroblastoma at the age of three, and he fought hard like a true super hero right to the end. Kaiden was six years old. There are so many children in our local children's hospital who could use a smile today. If I have learned anything from having a child with a disability, it is that more than anything, these children need love. They need to know that they are valued, they matter, and that people (many people!) care about them. 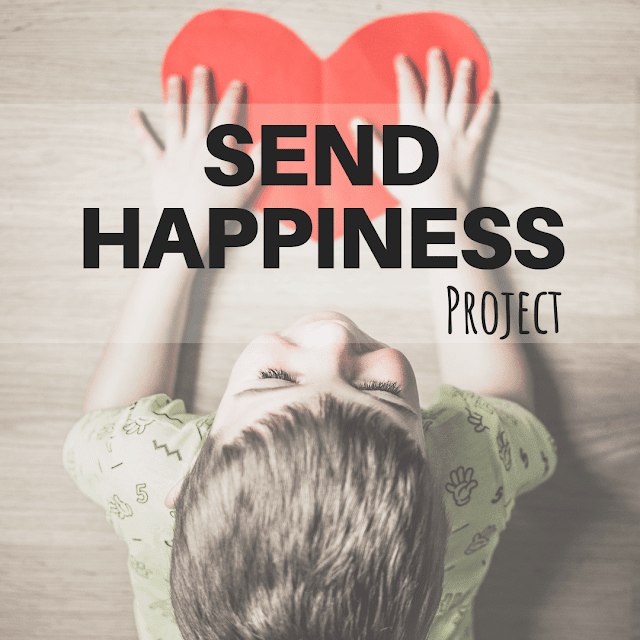 Purchase a “Send Happiness Project” story postcard or letter and we will deliver a Petit Mail story to a child, in person, to brighten their day!